This is my mom’s brownie recipe. 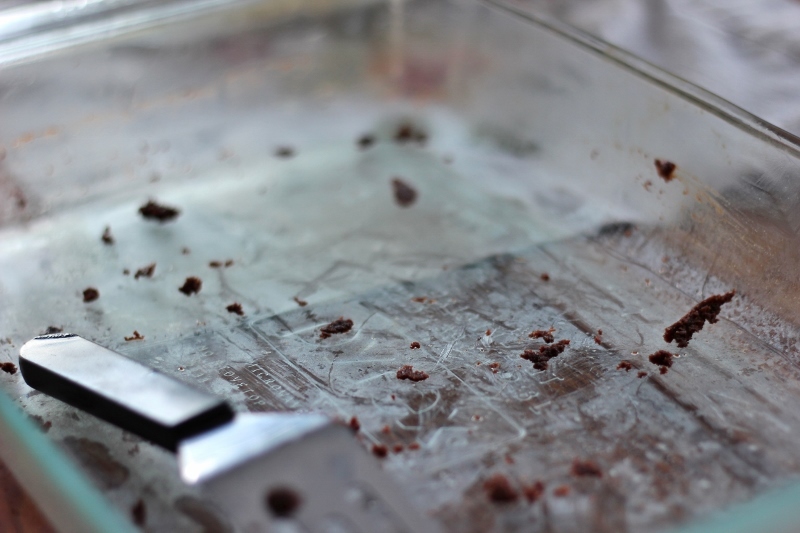 It’s super easy and just about as fast to make as a brownie mix, but so much better. When I was in high school, we used to triple it and bake it in a turkey roasting pan for youth group. Even with that many, they were gone so fast! They’re absolutely heavenly when warm but stay good for a day or two out on the counter and last a long time in the freezer (if you can leave them there that long). I like to eat them frozen even! They’re also good with peanut butter on top, which makes them really healthy, obviously. Enjoy! Melt the butter. Mix in the cocoa powder, sugar, and vanilla until all lumps are gone and the batter is smooth. Beat in each egg thoroughly, one at a time, make sure to fully incorporate each one. By the end of the third egg, all the butter/cocoa powder mixture should be fully incorporated. Make sure to scrape off the spoon into the bowl before you finish stirring (to get off any butter/cocoa that’s not mixed in). Add the flour, baking powder, and salt. Mix until just combined. Spread evenly in a greased 9×13 pan (or a loaf pan if making the 1/3 amount)* and bake in a 350 oven for 25-30 minutes until just set (less time for the smaller amount.) Try not to over-bake. If you like your brownies on the fudge side, then you could even under-bake them a bit. Cut them in the pan and serve. Try not to eat the whole pan, like our covenant group almost did the other night. 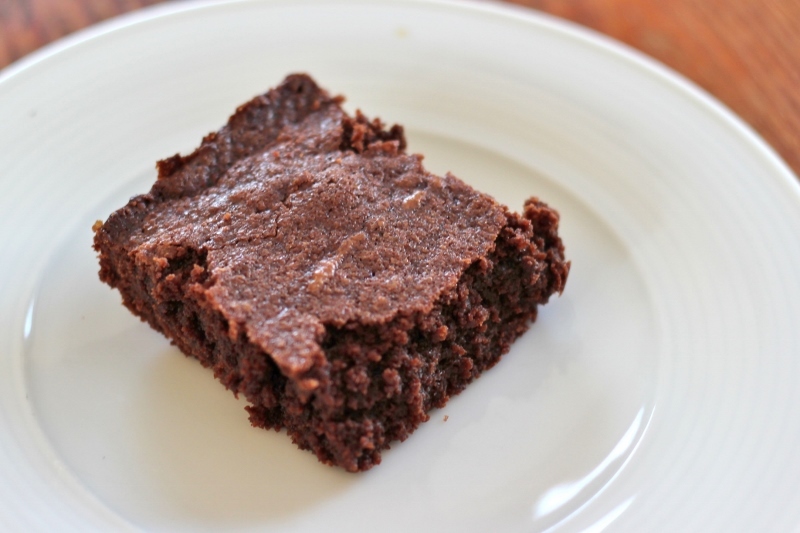 This entry was posted in cooking, recipe and tagged better than a mix, homemade brownies. Bookmark the permalink.